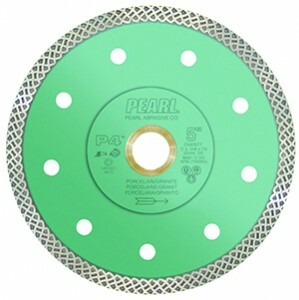 Pearl’s P4 Turbo-Mesh Porcelain Blade is designed to cut through porcelain and other tiles. The thin rim and core, in conjunction with the Turbo-Mesh diamond pattern, allow this blade to cut smooth and virtually chip free. 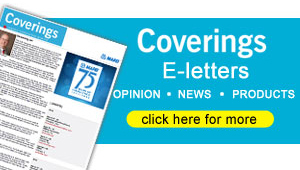 This product is also engineered to significantly reduce heat while cutting, therefore extending blade life. The Turbo-Mesh is manufactured with a reinforced core for strength and durability, and is ideal for dry cutting on all types of tile, including granite.